These are some of the wonderful teachers that will be sharing their passions during the Ocean Yoga Festival: an amazingly diverse range of yoga, meditation, dance, philosophy and more. Some are local, some have travelled from afar to be a part of this celebration of community, sharing and connecting with the Ocean, each other and you. Everything that they will do here is neither work nor volunteering: it is a sharing of their knowledge for the benefit of you, and the wonderful NGOs, to whom we will donate all the funds raised directly. There will be donation boxes at every class- you will get to pick which NGO you would like to support. Whilst we have tried to ensure the content is as accurate as possible, please make sure you check the latest Schedules posted on our Facebook Group and check in with the Venue directly on the day for the latest changes to avoid disappointment. Alec Weatherseed discovered the Alexander Technique 10 years ago. Experience revealed unconscious patterns of movement, and muscular and mental tension that he never knew existed. Alec uses the Alexander Technique to find greater self-awareness physically, mentally and emotionally. 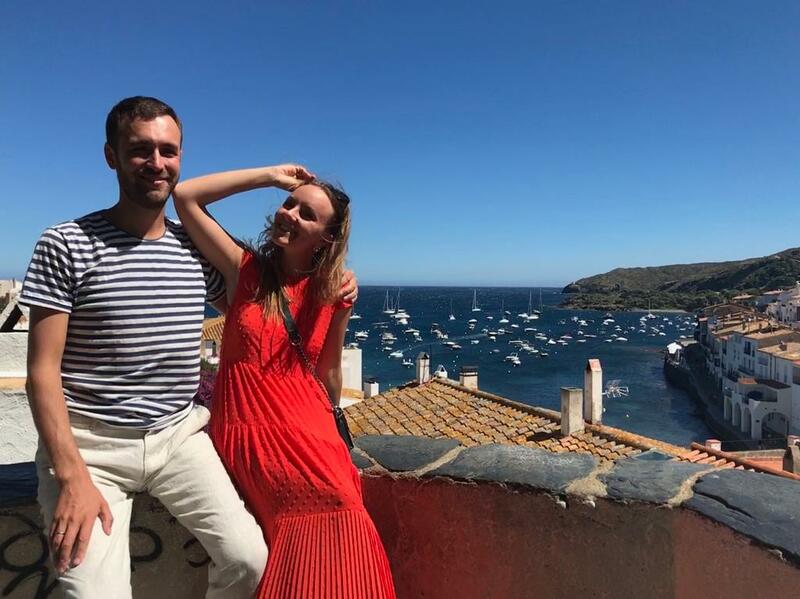 Alec’s current research involves incorporating the tenets of Alexander’s work into the sport of Freediving, exploring the connection between posture and its effects on breath-hold and relaxation. The Alexander Technique is a way to feel better, and move in a more relaxed and comfortable way… the way nature intended. Anastasia has been a university lecturer, an engineering equipment trader, a premium wine seller, an author, a failed business owner, a successful business owner, a yogi, a scientist, a spiritual seeker and many things in between. She lives for paradoxes, puzzles, surprises and challenges, bridging the unbridgeable and combining the un-combinable. Anastasia runs several projects, all focused on helping others to live a bright full life. Through the brand Wake up And Roar (W.A.R.) she organizes retreats, holds online and offline workshops and offers personal support in dealing with all things dark – the uncomfortable emotions, thoughts and periods of our lives, such as break-down, crisis, depression. In her work she uses her PhD research in neuro-, developmental and social psychology and combines it with the practices and wisdom of Eastern traditions (e.g. Yoga, Tantra). 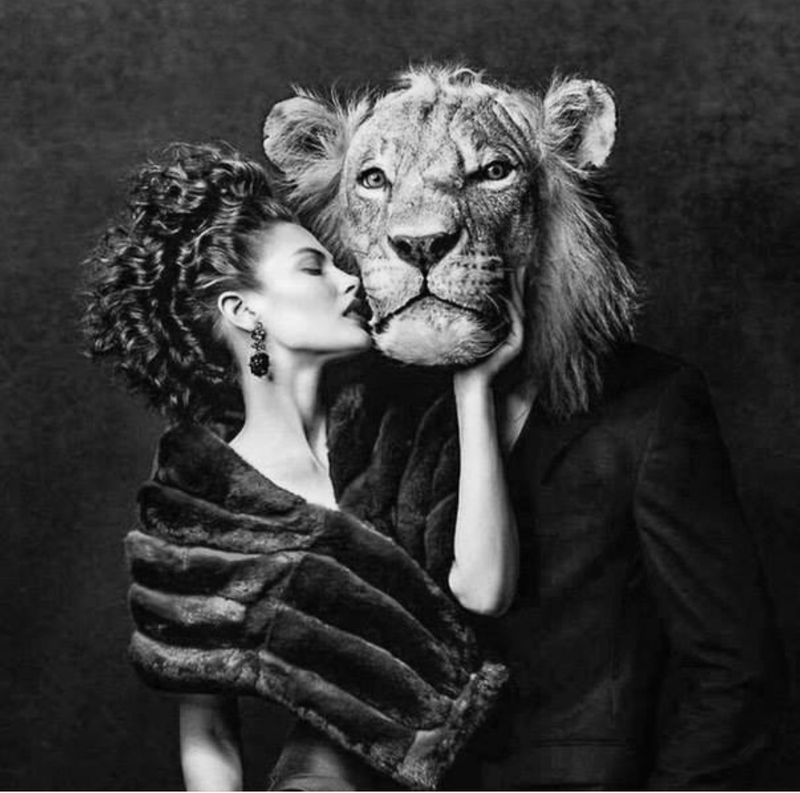 To follow Anastasia, visit Wake up and Roar. This is a variation on yoga movements with an emphasis on going away from rigidity of fixed yoga asanas and instead learning to understand own needs. iFlow recognizes the differences in each and everyone’s states body, mood and mind, thus encouraging more intuitive movement from within. Unlike a usual yoga class where all participants are instructed to follow the same poses, intuitive flow teaches how to lean into what you need at this very moment and how to modify the instructions to give it to yourself. Therefore iFlow is inherently an incredibly powerful tool for developing inner-authority and empowerment. 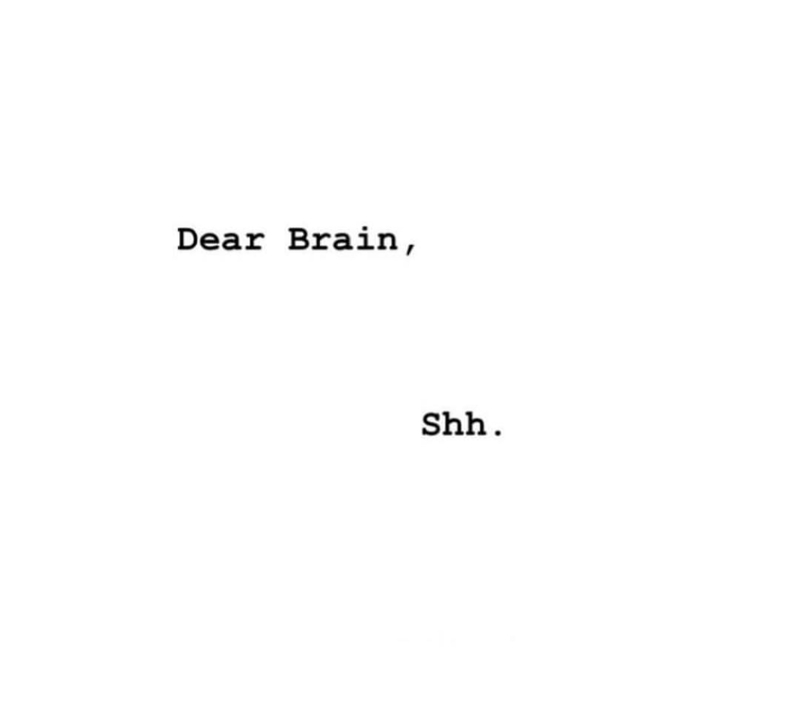 Designed especially for people who tend to over-think, over-plan and struggle with trying to control too much in life. If you’d like to learn to be more graceful, fluid and more in touch with your body, your needs and needs and emotions of others this class is perfect for you. One does not become enlightened by imagining the light, but by making the darkness conscious. You meditate; you yoga; you concentrate on the positive, sign your emails ‘with love and light’; you laugh, sing and hug. And yet there are THEM. A pinch of judgement towards someone, jealousy, pride, anger, hatred, helplessness, addictions… – the dark stuff. In the Art of Darkness workshop we will learn how to make sense of the dark emotions, sticky thoughts and behaviours, why it is important to embrace the negative and how to use the shadows safely to achieve our life goals. Darkness holds immense transformational power and instead of denying, suppressing and avoiding we need to learn how to dance with it. This workshop combines modern research in clinical and neuro-psychology with Eastern practices from Buddhism, Daoism and Tantric. This is a deeply integrative session of practicing radical honesty with ourselves and an embodied uncompromising proud acceptance of all that we are – the kindness and the rage; the softness and the edginess; the good, the bad and the ugly. And the day will come when the need to remain closed becomes more painful than a risk of opening. Do you feel like you avoid social situations or have been told that you are too invasive to others’ boundaries? Do you feel difficulty creating and maintaining healthy nourishing physically and emotionally intimate relationships? Do you struggle with the notions of attachment and freedom? Would you like how to trust others AND yourself more deeply so you feel secure, playful and curious? If you were always curious about what more tenderness, eroticism and love feel like but too ashamed or stubborn to admit it – this is your chance to come and explore your edges in a safe way. In this workshop we will work with your social edges, whatever they might be. In a highly practical session you will learn your typical responses to your triggers, not just with your mind, but with your whole body. You will understand what’s holding you back from connecting with others and what a deep connection can feel like. Very powerful workshop that will give you a foundation towards relating to others deeply without compromising authenticity. From London, Anna has been living and teaching in Amed for 2 years. A full time freediving instructor, she trained in Pilates in London with Polestar, now combining freediving and pilates. Full of laughter and passion for what she does, her informative, personal teaching style ensures classes are memorable and fun. Lengthen and articulate the spine for better movement, discover the real core muscles that hold your head high, say goodbye to sit ups. Ela Mare is a warrior mermaid, she grew up by, above and within the sea. Devoted to Mother Ocean, she created Yogamare Retreats to elevate people consciousness and spiritual connection with Nature and their own infinite divine potential. She aims at supporting human evolution and celebration through a diverse spectrum of spiritual yogic techniques coming mainly from the Tantric and Vedantic Tradition. In between retreats around the globe she teaches at the Sattva Yoga Academy in Rishikesh India, during the international Teacher Training. Through the holistic approach of Sattva Yoga, she will guide you into sacred practices (a wide range of kriyas, pranayamas, meditations, asanas and bodywork, etc) aiming at expanding and mastering your energy, deepen your connection to the divine within and without and ultimately become your own healer and live a life of fullness and abundance. 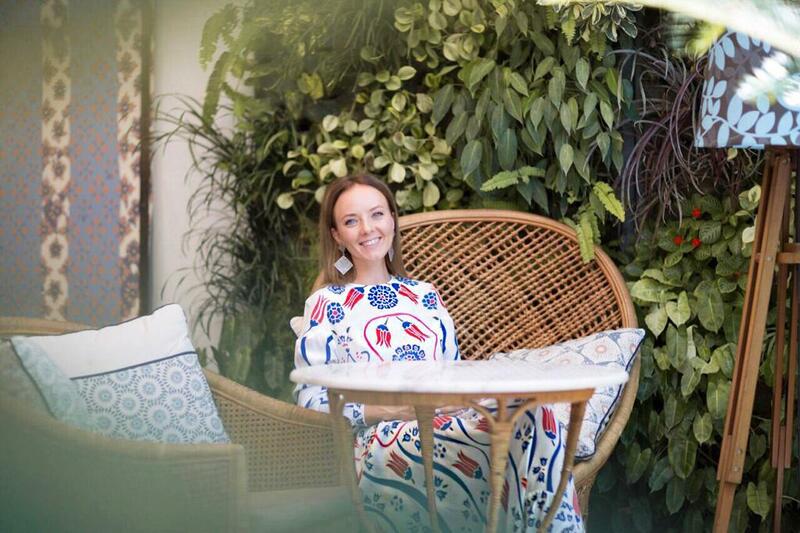 A passionate advocate of eco-sustainable solutions for a greener life, part of her dharma is spreading awareness and promoting a life of deeper connection and respect for Mother Nature. 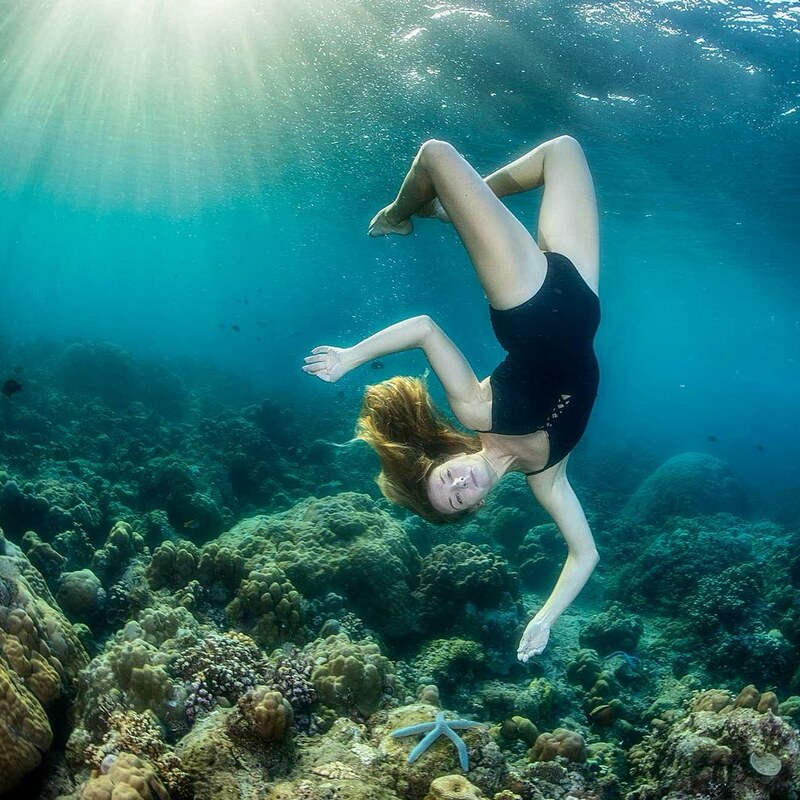 #cosmicmermaid Ela Mare created this workshop as a way to support and deepen your spiritual connection to Mother Ocean through specific #Sattvayoga practices, and take your experience with her depths to the next level. Through different modalities of meditation, kriyas, pranayamas, movement and other tantric techniques, you will be guided into a journey of exploration, surrender and trust learning new ways of mastering depth and breath. In this workshop Ela Mare will guide you through a journey unfolding the secrets of the sri yantra and it’s powerful sacred geometry. This class will be comprised of an informative part at the beginning followed by a meditative journey. 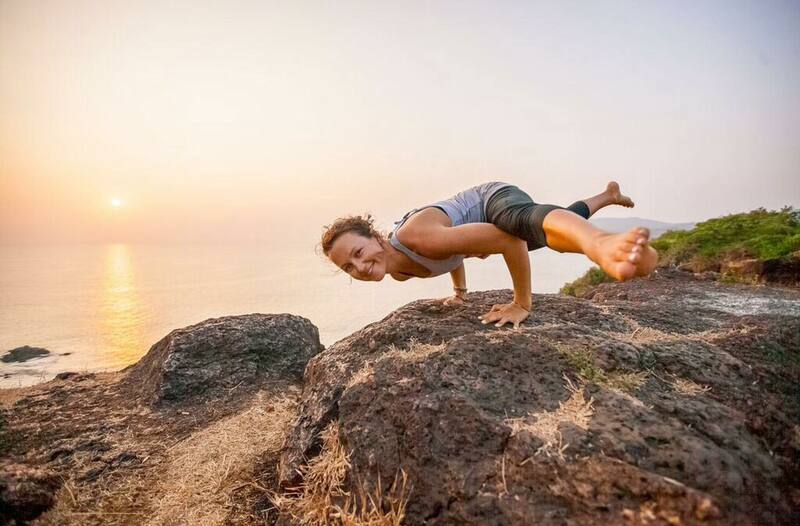 Francie is the inspired founder of Pure Flow Yoga, a heart-centered oasis in Koh Phangan, offering ongoing inspiring, magical and life-changing Yoga Retreats and Teacher Trainings. 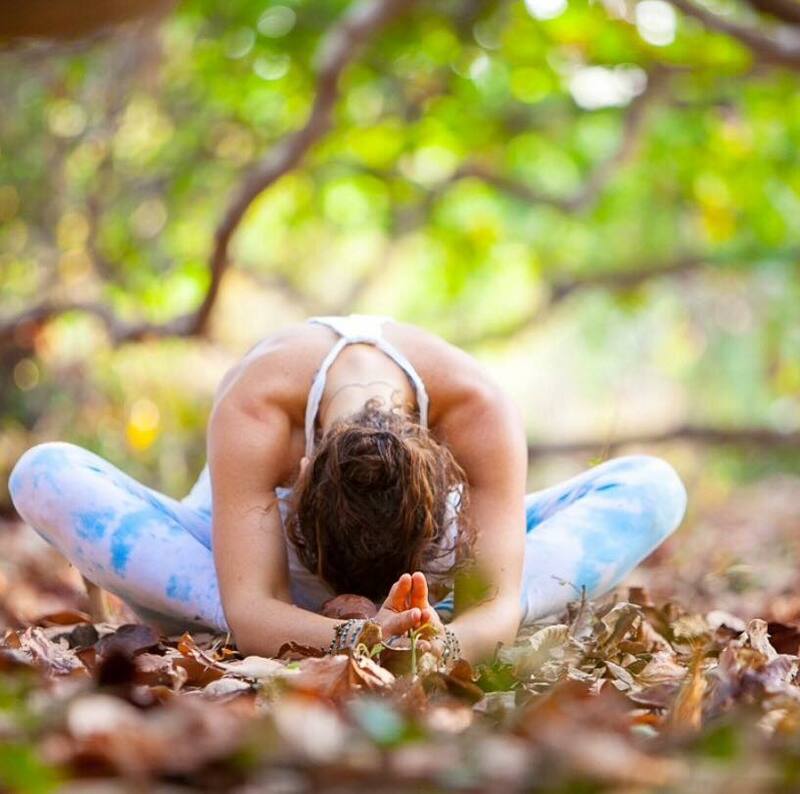 She is a passionate and free-spirited yogi, teacher, musician, hula hooper, entrepreneur, community activator, and joy-spreader whose mission is to uplift, inspire and empower people from all walks of life to live playful, connected, balanced and magical lives. 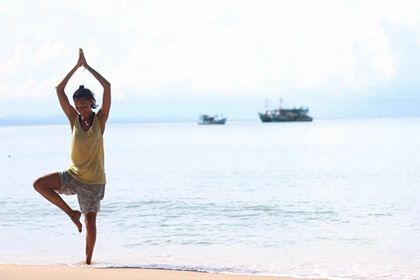 Francie is currently living her dream, sharing her passions at Yoga, Music & Dance in retreats, training and festivals in Koh Phangan Thailand, Ubud, Bali and worldwide. Join Francie at one of her upcoming events! This is a unique opportunity to try Mindfulnesscoaching for free with the experienced Joe Freeman. It might be the most powerful and transformational workshop you ever attended! You will take away a good portion of freedom and clarity and an idea of what Mindfulnesscoaching is about. The workshop will contain a meditation “power of mindfulness” to reach deeper layer of consciousness and then we dive straight into live transformational Mindfulnesscoaching of the participants by Joe Freeman. Mindfulnesscoaching is a perspective derived from a theoretical background of coaching for empowerment and utilizing the power of mindfulness/awareness for healing and creation. In this workshop we will try three mindful coaching methods live and together. One is The Work by Byron Katie, the second is emotional Zen Coaching inspired by Kåre Landfeld and the third one is Mindful Release of limiting beliefs developed by Joe Freeman. If there is time we will also discover Mindful NLP as well – a speciality again developed by Joe. As a qualified Ayurvedic Lifestyle consultant he has continued his practical studies interning with the Indian doctors at a highly respected Ayurveda Pancha Karma centre. He runs Yoga and Ayurveda retreats and also Ayurveda workshops, talks, 1 to 1 consultations, coaching & mentoring Internationally. He began practicing and studying yoga in a self practice format in 2004 and has been teaching since 2009. 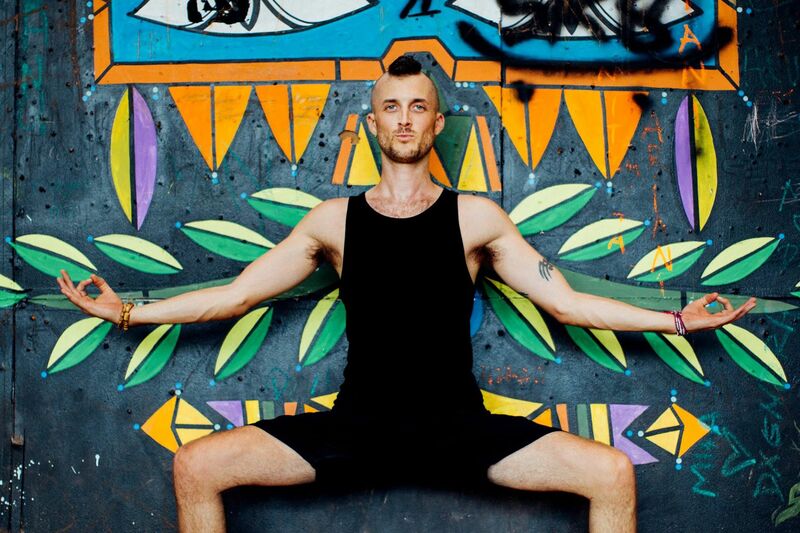 His Yoga practice led him to being drawn to share his knowledge with others and in 2010 he completed a 2 year Yoga Alliance 500 hour RYT training and has since completed Matthew Sweeneys’ 300 hour Vinyasa Krama Level 2 Teacher Training. Justin’s spent significant periods of study and training with highly respected teachers including; John Scott, Philippa Asher, Gingi Lee, Prem and Radha Carlisi and David Swenson. For the past 3 years his main teacher has been Matthew Sweeney whilst incorporating the Advaita Vedanta pointings of Sri Mooji. 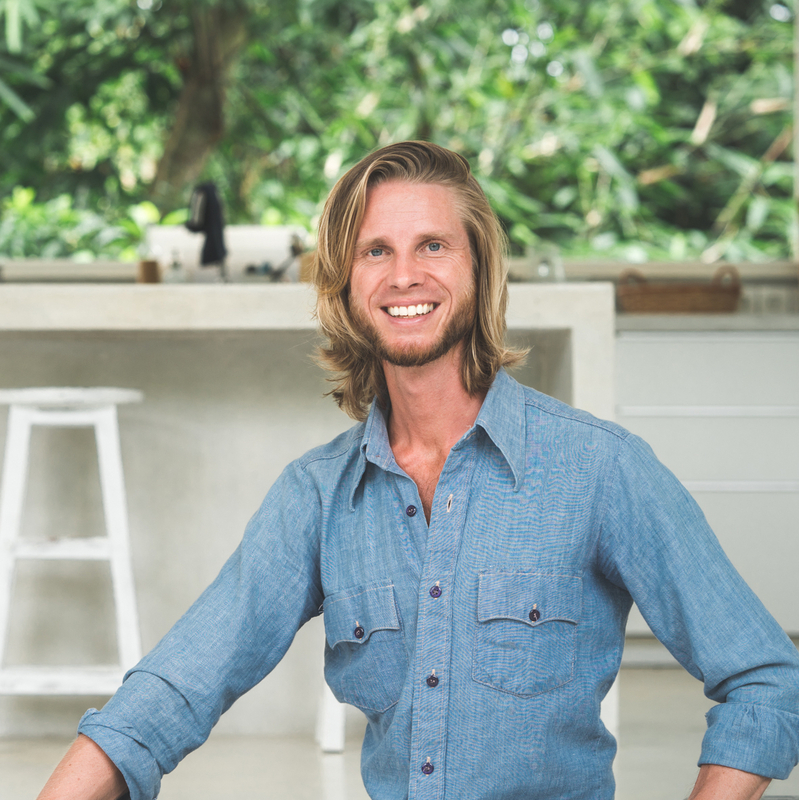 After completing a Permaculture Design Course in 2015 he spent 6 months interning at the Kul Kul Permacultue farm/ training centre at Green School, Bali. Some other projects since include developing a garden at an Ayurveda Pancha Karma Centre in Bali, Managing the landcare at Mooji Sangha Bhavan ashram in Portugal, teaching Permaculture to local schools in South Goa, India and with a local Permaculture charity in Kashmir. Justin’s practice and teaching embrace Ayurveda, Ashtanga yoga and other asana based practices, Meditation, Pranayama, applied work on consciousness and techniques in transformational life coaching. His wish is to empower and inspire people to lead and maintain a truly holistic life. * How dis-ease relates to our Doshas., (e.g, Mental permeates into physical). * How yoga asana postures relate to the Doshas, (How to focus more on certain postures for certain Doshas). Not just what but how. * How aroma therapy, colour therapy, mantra, massage and other Ayurvedic branches of healing fit in and can be utilised more intelligently – Including Pancha Karma. Originally from Berlin, Kasimir embodies oneness consciousness and is well known for his extrasensory abilities. Lé Annu has grown up in Miami and has been called by the spirit of the dance. Together they have hosted sacred space for amazing ecstatic dances around Germany, USA, Ibiza and Bali. This is your invitation to come experience the movements of your body and the Ocean as we dance together in the beautiful Shala on the Sea, under the gaze of Mt. Agung. The THEME is ‘EBB & FLOW’ with music mix by Ecstatic Dance Evolution DJ Midnight Parrot (Nachtpapagai) from Amsterdam. The sea never rests, but it is always still. Don’t try to make waves but let the sun and the moon guide your high and low tides. Naturopath and Ayurvedic Teacher Kimmana Nichols is the third generation from an entire family of holistic healers and educators. He has 25 years of experience in teaching yoga and dreams of a world filled with harmonious, self-guided individuals, because of a united system of holistic medicine and self-care. With experience in more than 20 modalities of bodywork and medicine, his passion for healing arts and teaching has awakened a world wave of Vedic Wisdom changing lives. He co-created the international school, ThaiVedic Systems, to share the most effective self-care tools with the world. Suitable for ALL LEVELS. With extreme diversity of human life, we are all sent with purpose and specific gifts to share. This class takes us on a journey through Vedic Astrology to understand the laws of karma, and how this vast science of spirit has now come to be known as the most accurate form astrology known to man. We will outline the domains of life and how the soul evolves through human experience. There will be a focus upon how this system recognises the most rewarding domains of life for each individual, and the Purusharthas, the four purposes of human existence. Touch is a fundamental human need and studies have shown that babies who are touched and held more thrive compared to those who are starved of touch. Although most people are aware of the benefits of touch, few are taught the language and qualities of this all important form of nonverbal communication. This workshop gives an introduction to the ThaiVedic System of Bodywork, an intelligent synergy of Thai Massage, Ayurveda and Chinese Medicine, and shows you the 5 languages of touch. You will experience partner exercises which increase your ability for connection, trust and healing. Everyone across the globe is waking up to the amazing benefits of meditation, and even major corporations are encouraging their staff to meditate because; it improves intelligence and intuition, increases productivity and growth, decreases disease and pain, and eventually even leads us to enlightenment and lasting bliss. This class teaches us why meditation is so powerful, the steps to mastering meditation, and how we can make a practice that is specifically suited to our individual mind and body. Levi Banner has a Bachelor’s Degree in Elemental Studies and has been teaching Yoga for over 10 years. Before that, he was a Breakdancer and Hip Hop dance instructor, teaching, competing and performing for 13 years. He is a Master-Level Shamanic Breathwork Facilitator and an Ordained Shamanic Minister through Venus Rising Association for Transformation. 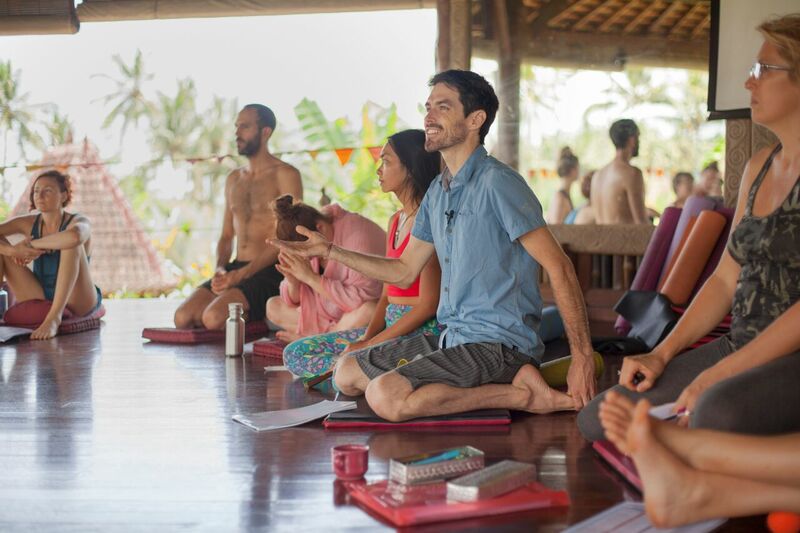 Originally from Oregon, Levi now lives in Bali and teaches at the world famous Yoga Barn. First sweat, then surrender. The first two hours of this workshop are a powerful, upbeat vinyasa flow practice, coupling a great playlist with Levi’s light-hearted delivery and deep, sincere commitment to the practice. You’ll touch your limits, and then surpass them, reaching beyond what you thought you were capable of. In the process, you’ll discover that you can do things you didn’t imagine were possible for you, reprogramming your mind and shifting your entire outlook. 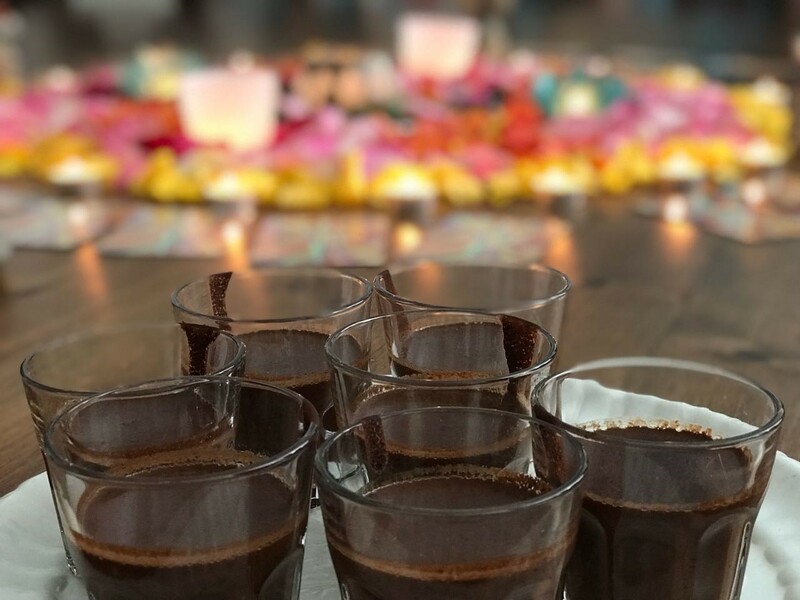 The final hour is a time to unwind and process, melting into restorative poses and feeling your heart melt as you absorb the power of the vinyasa practice and walk out of the studio transformed. Want to learn about astrology? Now’s your chance. This workshop is ideal for anyone with an interest in astrology, from total beginners to hobbyists. In it, Levi draws upon the vast wisdom available to us through astrology and lays out the fundamental components in a clear, simple, practical way: you’ll leave with a new understanding of how your entire birth chart, not simply your sun sign, influences your worldview, potential, and challenges. Illuminate your love, with a workshop that reveals to you aspects of yourself and your love that you never knew existed. You don’t need to be married or in a partnership to enjoy this workshop. Ultimately, we contain the entire Universe, and by spotlighting both who you are and who you seek to be, you can bring both your passions and patterns to conscious awareness, refining our relationships with yourself, partners, friends and family. This workshop is about so much more than simple compatibility. It’s about who you came here to be, and who you attract into your life to support you in that journey. 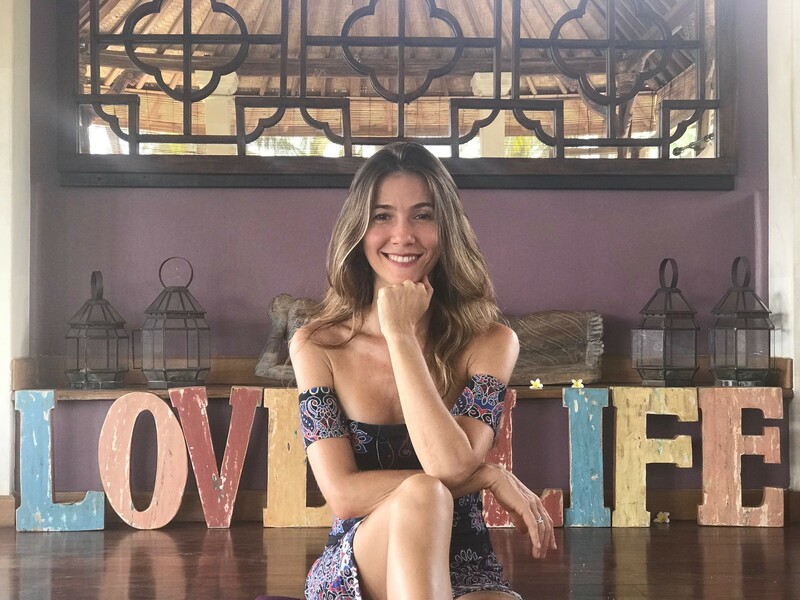 Besides being a love-life-coach and theta-healer, Luciana hosts transformational retreats and cacao ceremonies all over the world. Her warmth, love, wisdom, humbleness and playfulness create the perfect alchemy for people to relax and be… And to reconnect. Ancient tribes from South America, Central America and Mexico have been using cacao for over three thousand years as a sacred ceremonial medicine to help us reconnect with nature and with our own nature. By involving our body, mind and spirit in ceremonial rituals like this, deep rooted limiting beliefs and blockages are released, and higher beliefs are manifested, once we are open for it. With the combination of warm creamy delicious cacao from Bali organic fields with live heart songs, you will be guided to an inner journey where you will remember who you really are. If you allow it, your heart will expand and you will experience unconditional love and unity. You will tap into the flow of abundance of the universe. Join Luciana in this unforgettable journey and together let’s celebrate the miracle which we call LIFE. Mana Mei began dancing when she was three years old, training in classical ballet until the age of 21. She went on to study modern dance, ballet, improvisation, and choreography through University. She continued on to dance professionally with internationally touring modern dance companies from California. 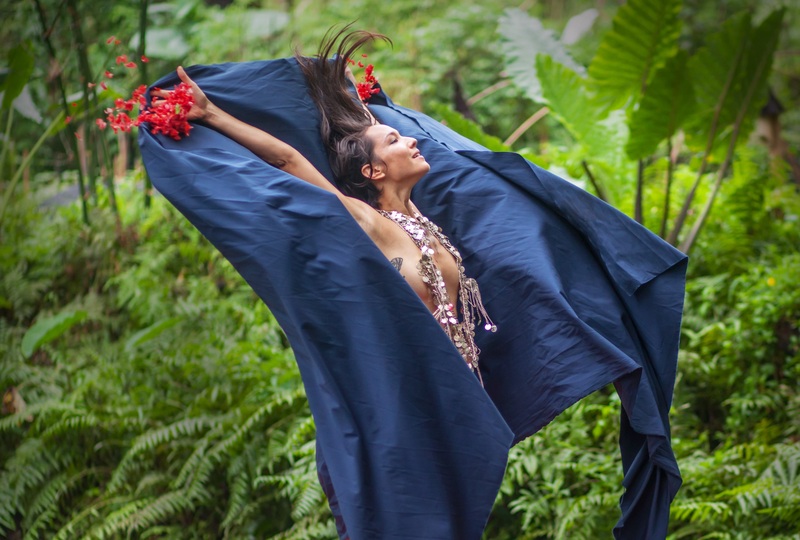 Currently, Mana lives in Bali, Indonesia where she teaches one-on-one embodied movement, as well as facilitating classes, workshops, and retreats centered around embodied dance, human connection, tantra, and women’s empowerment. She is passionate about connecting people with their authentic movement voice, discovering and celebrating their unique expressions, and facilitating global healing of the masculine and feminine wounds around human connection. Dance is her life-long passion. She believes that our bodies are vessels built to explore all of the complexities of the human experience and by becoming deeply embodied and engaging with others from this place, we may feel our truest connection to the universe. Embodied Dance Technique is an exploration into the union of mind-body-spirit to discover and celebrate YOU in full expression. You will be guided through carefully crafted movement explorations, designed to connect you deeply to your internal world- energy and sensations, your unique expressions, the elemental nature of life, and the transpersonal experience. Together we give collective permission to come into full embodiment of the Soul and liberate our Truths. Through sensitive and authentic investigation of non-verbal communication, we practice full presence in our personal interactions and build trust among our community. This workshop will teach you to meet yourself and others with openness and vulnerability. You will leave this workshop feeling more connected to your self, your full potential for expression, and to your global community of sisters. You will feel more freedom and confidence in yourself and have a heightened ability to feel and listen through your body, responding to life from an embodied empowerment. Start the day shining; with breath-work practices integrated into meditation. Different practices will be explored on different days, exploring the connection between the breath, the nervous system and meditation. A workshop on fascial release and deep massage, guided but self-administered, using foam blocks and balls. This workshop will be intense but sweet, opening a door into an aspect of wellness that is accessible to everyone and essentially free. This is a workshop examining the mind-body connection. We’ll look the autonomous nervous system and how neuroplasticity and emotional conditioning connect, drawing on tools from Yoga and Freediving training. This is about 75% theory and 25 % practical explorations. Workshop: Asana-Twists, diaphragm release and backline opening. A workshop exploring the breath in different poses, focusing on twisting poses. We’ll also explore variations of Uddiyanna and Moola Bhandas and Ashwini and Vajroli mudras..
A beautiful group meditation to end the day as a community. We’ll be using sound vibration to access subtler aspects of Hatha Yoga. Even if you are confirmed ‘rationalist’ and not interested in the so called ‘Spiritual’ aspects of Yoga this is a deeply calming practice for everyone. This workshop looks at the foundations and some principles of concentration and mindfulness practices. Drawing on these insights we’ll explore states of ‘flow’ and how to allow ourselves become receptive to these important psychological states. This is open to everyone even those with no background in meditation. Natalie has roots in Sivananda and traditional Hatha yoga practices. She now teaches Vinyasa flow and Yin Yoga, yin and Yang. She believes you need strength just as much as you need to relax and slow down in yoga. She holds space for growth and for transformation. She believes we all walks individual paths but can be comforted and guided along the way. An integral approach to explore the spectrum of human experience, focusing on the three major states of consciousness correlated to three major bodies (or simply put three body-minds): the physical, the subtle and the causal. We will explore practices for each of the three body-minds to give a direct experience of them, and elaborate on how these practices can turn “internal led into gold” – how they can influence our lives and what they are good for. The workshop will be half theory/discussion and half practice. Qigong practice focused on circles / circular motion. In traditional Chinese medicine it is a common belief that stagnant energy causes illness. This soft Qigong practice is meant to create flow and circulate energies through our subtle bodies by using mainly circular and round movements together with a subtle, quiet breath. This is both vitalizing and restorative, as well as it is a great preparation for more meditative practices. The practice itself can be seen as a meditation in motion. Additionally movements are designed to address coordination throughout the three major axis of the human body to enhance kinesthesia and motor-control for moving in the 3-D world. The 5 elements of the Chinese traditions are considered to be the 5 main agents or forces of the universe. Harmonizing with these forces is how we maintain health, and being in disharmony with these forces is being in disharmony with the universe, hence can cause all sorts of problems. This practice is directed at harmonization through a soft flow of movements originating in the ancient traditions of China. In the first part we will release stagnant or stuck energies from the body with the 6-healing sounds and specific release forms. We then go on to harmonize with the five elements, doing five specific forms related to each element. Finally the harmonized energy is refined and stored within our bodies with refining forms and a Gong sound-healing session. The 10 ox-herding images from Zen Buddhism describe the journey of the spiritual seeker. In this workshop we will playfully embark on our own journey, embodying each of the stages depicted by these images in a free-form, almost dance-like Qigong, in order to get a subjective feel for what this kind of development is like and possibly have profound experiences. Beginning with an explanation/discussion of each image and stage of the journey and a short introduction of how to feel/sense qi, we will soon begin an un-interrupted flow through all of them, half-dancing and feeling our way through them, then finishing off with a guided relaxation. Indra’s attitude is simple; that to reach depth, one does not have to travel far. We already have all the solutions and improvements we seek, but we overlook them because we make ourselves believe that they have to be beyond our reach. Indra’s method does not challenge one’s limit – they invite one to explore one’s self. In his workshops, you do less but get more results. Known as Nuad Boran in Thai, this class gives participants to pair up with another to take turns giving and receiving the massage. The giver will guide the receiver of the massage into Yoga postures and work on his/her energy lines and pressure points, alleviating the latter’s muscular tension and improving the body’s circulation. The receiver, whilst laying in relaxation, will achieve Yogic flexibility without doing anything, hence its other name – the lazy man’s Yoga. A movement intelligence system that exponentially releases tension and opens the body by doing minimal movements. Participants have reported experiencing better posture, taller stature, fluid movement, spacious body and relaxed mind. Tingting’s class is a yoga fusion combines different styles and different movements such as Taichi and dancing movements. With respect to every posture and with knowing that everyone has unique body and mind, Tingting’s class always creates space for participants to feel free to move in their own rhythm and enjoy the communication with their own bodies and inner self. Just breathe, move, free your mind and flow together with Tingting. 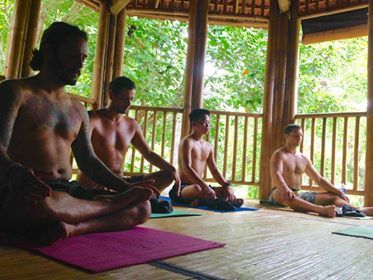 This is a unique style of yoga that combines the knowledge and discipline of traditional yoga with Mudra Pranala, an ancient healing art system that was transmitted to my teacher by the beautiful Balinese shaman Tjokorda Rai. Pranala is the circulation of the flow of energy, ‘prana’ being life force and ‘nala’ the inner fire. Mudra Pranala activates the Pranayama Kosha, the body of light and through conscious union of the breath & asana practise we create healing between our body/mind connection. We connect to our higher spiritual self by shifting from thinking to sensing, merging the hemispheres of the brain, the yin & yang aspects of ourselves as well as increasing our sensitivities to the energies of Mother Earth & Father Sky/Universe. 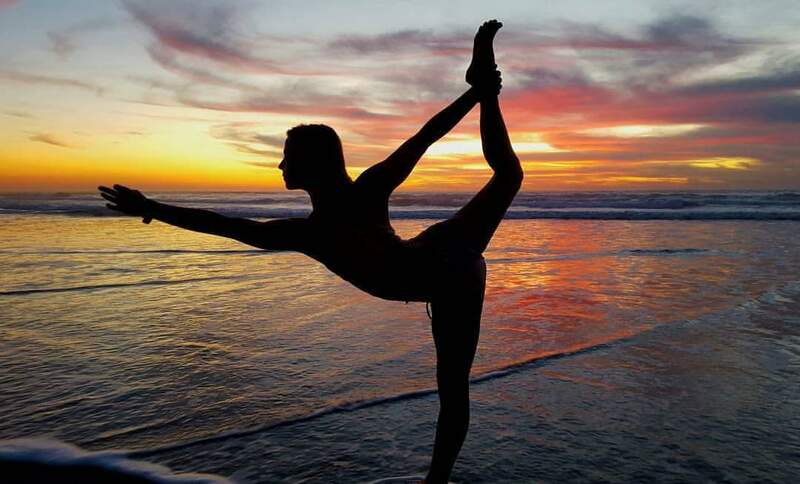 Olya Lapina is a yoga practitioner from California. She received training at the Iyengar Institute in India. She created her own combined style of Alignment and Awareness in yoga – a practitioner is aware of his/her thoughts and is able to self guide through asanas with confidence and care, making each yoga practice Transformational. Presently, Olya teaches yoga, pranayama, kriya, and meditation in Bali. She is an invited teacher to the various yoga festivals in Bali and Indonesia. She invites her students to venture deeper into their yoga practice and thrive towards independence and self-direction. We will explore the effects of a diaphragm stretching on pulmonary function and respiratory pressures. Intercostal muslces under the ribs and their support of respiratory function, abdomen and neck stretch. In this class we will cover Uddiyana bandha and demo Nauli! Bring your empty stomach! With this proven sequence, we will learn to find a safe, comfortable, and exhilarating place for the body to land into Hanumanasana (the splits). It doesn’t matter if your pelvis is miles away from the floor! Instead of jamming the body toward the floor, we will try to find a level pelvis by hugging the inner thighs in toward each other and pressing the legs down into the floor to help you lift the pelvis and engage your hamstrings. Hanumanasana for all! Have fun and think of embodying the spirit of the Hindu monkey God Hanuman as you lift your arms and breathe deeply in the pose. Note: the space for this workshop is limited, please call Ocean Prana to sign up. As former World vice-champion of freediving and French National champion multi-record holder, Yoram was among the world elite of this discipline. He has been a scuba diving instructor and AIDA Freediving Instructor Trainer for more than 21 years and shares his experience and knowledge in special courses throughout the world. After developing the sport of Freediving for 15 years in Tahiti – French Polynesia and Sydney – Australia, Yoram has relocated to BALI – INDONESIA and founded OCEAN PRANA. This special Breathing Workshop is of course a “must do” for freedivers, but not only. Anyone who breathes will benefit of this techniques based on control of breathing and flexibility of the ribcage. Meow is a certified as a 200hrs RYT Vinyasa Flow and started practicing yoga in Thailand in 2014. She’s been practicing in Power Vinyasa and combine with modified Ashtanga, it’s emphasis on strength and flexibility. Meow believes that yoga should be accessible to everyone regardless of their level of physical or mental health. She brings gracefully fluid movements along with slightly more challenging postures & transitions. Her classes are often challenging and her philosophy is that always bring your mind to listen your body and let it work together. 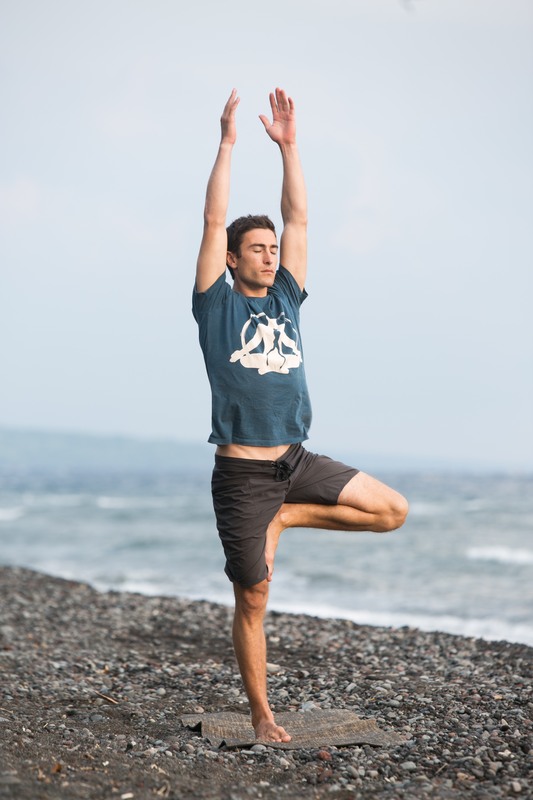 – Flow in strengthening and balancing pose. (30mins) warm up body to be ready for armbalance and Transition poses. 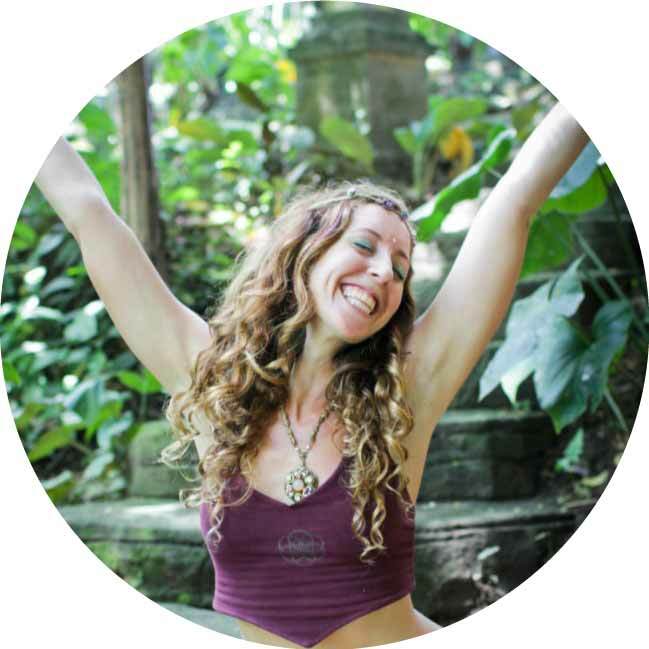 Lola is a Bhakti Yogi, movement artist and researcher currently living in Bali. For the 15 years, she has been exploring the world, devoting herself to such disciplines as Dance, Yoga, Buddhism, Movement & Touch Therapy, Martial Arts, Meditation, and Positive Psychology. She participated in numerous projects and festivals, and conducted international workshops and retreats in Greece, Vietnam, India, Czech Republic, Belarus, Germany, Slovakia and Japan. Lola is the author of an upcoming book “Relax and Love”, and the creator of The Organic Groove Method – a therapeutic interdisciplinary practice that helps to restore the somatopsychic (body-heart) balance by cultivating awareness, compassion, joy, intuition, and Atma-Prema – unconditional self-love. 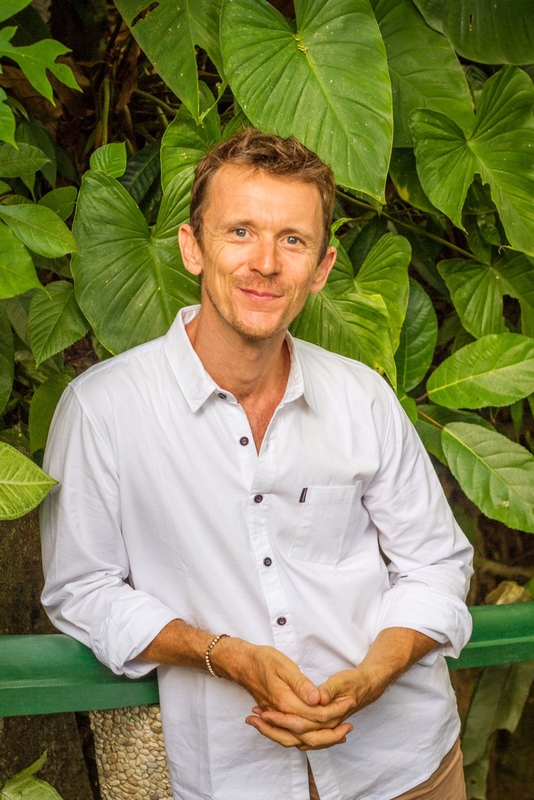 Devlin is a passionate facilitator who teaches from the heart and loves inspiring others on their unique spiritual paths. At age 12, in the woods of northern California, she was introduced to yoga asana and the mindfulness practices of Thich Nhat Hanh. After years of experimenting with asana styles, she ended up at Agama Yoga in Thailand where she developed a strong personal practice in tantric hatha yoga and meditation, as well as doing a yoga teacher training. She continues her studies, often in silent meditation retreats, at Hridaya Yoga in Mexico and France. With her background as a musician and performing artist, she enjoys fusing the healing powers of the creative arts with the mysticism of the sacred arts as a Shakti Spirit® teacher. (15mins): We will begin with a movement exercise to experience shakti as pure energy without form. Creating space and freedom in our bodies we aim to reach a natural flow and experience the feeling of “being moved” without personal effortand instead with complete surrender. We’ll end with a brief sharing – In what ways did you experience shakti energy? 3)Exercise for embodying Shiva stillness (15mins): We will do a seated meditation with techniques as outlined in the Vijnana Bhairava tantra – specifically finding stillness in the pauses between the breaths. We will end with a brief sharing. -Introduction to transfiguration – seeing beyond the form. Seeing ourselves and the other not as two human individuals but as two dimensions of life, connecting with our own inner divinity, and seeing the divine in our partners. -Explain the practice of gently gazing into each other eyes, while ignoring any physical traits of the person you are looking at, techniques for staying in the heart, and specific hand gestures. -Assuming our roles as Shiva/Shakti, regardless of gender – ideally there will be an even number of participants and if not myself and or Arlene, my assistant will participate. -Shaktis sit in the inner circle facing out while Shiva’s move from one position to the next. -We will begin, timing it 1-3 minutes per pair, depending on how many we have. 5)End (10mins): A brief sharing for those who would like to share, or have any questions and a closing circle activity like “pass the pulse” or something similar. 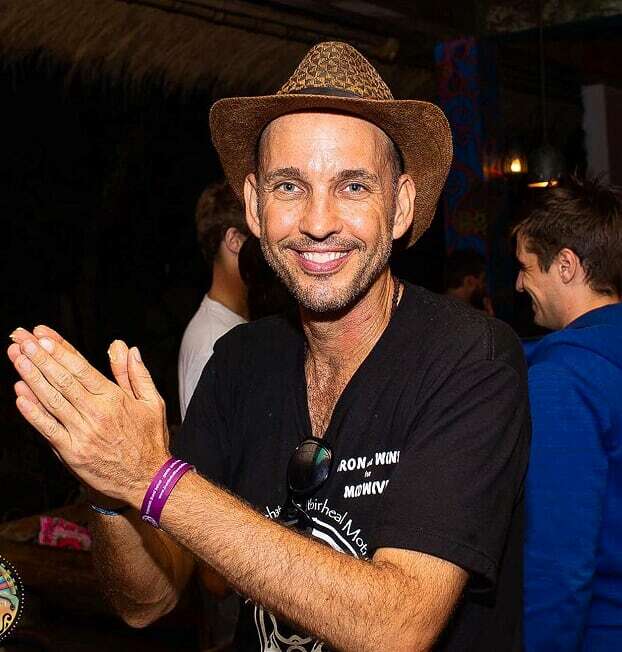 Om Ben moved to Bali nearly 11 years ago after being recruited to help start up the now world famous Green School. Since leaving the project in 2013, he’s been lucky enough to play for a living. He stays busy in the Ubud area through a variety of performing gigs: music, comedy, and hosting/MCing events and festivals. Om Ben is known for his warm heart, quick mind (and quicker tongue), cheeky sense of humor, and adventurous vocal harmonies that are always enthusiastic if not 100% accurate. Last 3 years we have lived on Bali, around Ubud area. We are initiated devotees of Satguru Paramahamsa Sri Swami Vishwananda and Krya Yoga practitioners. Last 1.5 years we have spent actively spreading the Om chanting movement around Ubud, Changgu and Bukit areas on Bali. Together with om chanting we also offer people Kirtans (namkirtana) and Pooja actives which are all connected to Bhakti Yoga. Here on Bali we represent Om Chanting (Om healing) meditation by blessing of Paramahansa Vishwananda. Love is meant to be shared. 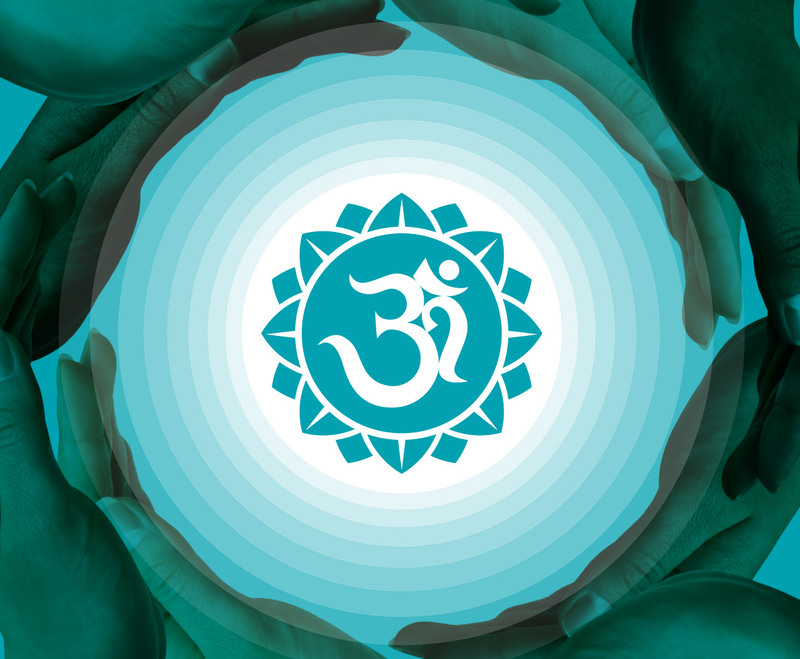 OM Chanting brings people together to share the positive vibrations of OM and their love for Mother Earth in local communities and nations around the world. Above Jemeluk Bay on the beautiful Amed coast of East Bali, we’re just before sunset point on the right. This part of Bali still preserves it’s natural rhythms. It’s a area of great natural beauty, both above and below the water. Come and see why many travelers consider it their favorite spot in Bali, an island of many incredible places. This all sounds awesome! Great work everyone in putting this together! Steph, thank you so much for your kind words- we are very excited about this also! What a great initiative holding the Ocean Yoga Festival with amazing people sharing their knowledge and skills. I’m sure those fortunate enough to attend will grow from the experience. Just reading about the volunteers and program is lifting my day and I’m thousands of miles away! Well done.